The Football Front: Chelsea: The Impossible Job? So, another one bites the dust. Chelsea sack yet another manager. Another Chelsea manager was quickly ushered in and before you know it, he is hastily ushered out. The uncompromising trigger of Roman Abramovic has been pulled yet again. Chelsea’s have had all sorts of managers under Roman Abramovich reign of the club. The Blues have had Champions League winners, mediocre unknown managers, a World Cup Winner, then an international manager, then back to Champions League Winners, and then to a young, up and coming manager, Andre Villas Boas. So many have arrived at Chelsea, yet so many managers have failed to deal with huge expectations of the Chelsea owner. There is a beautiful irony surrounding Chelsea. On one hand you have a selection of fine players, some of whom are arguably world class. While on the other, Chelsea have huge transfer funds, meaning the club can attract the finest players around the globe. But there is a sting at Chelsea which has caught so many managers out. There are three elements to this ‘sting’ which make Chelsea the impossible job in club football. 1) The players mentality – (especially the senior players at Chelsea) - It seems the players feel so secure at the club that they feel it is their way or the highway for the manager. 2) Roman Abramovic – The Russian’s susceptibility to pull the trigger when the going gets tough make the job impossible for Chelsea managers to make a real impact on the club. 3) Jose Mourinho (Chelsea’s most successful manager) and his shadow – Whoever comes in at Chelsea will be compared to the great Jose Mourinho. Not only this, people will compare the rapport the new manager has with the players in comparison to the rapport Mourinho had with the Chelsea players. The Chelsea players should be embarrassed with their application towards Andre Villas Boas. Some of the players put their own interests ahead of the club and the Chelsea fans. The likes of Frank Lampard and Ashley Cole made their frustration very clear to the press. How a legend like Frank Lampard thinks informing the press of his frosty relationship with Villas –Boas is in the interests of Chelsea Football Club is beyond me. These unneeded comments by an experienced international only poured more fuel and cranked up the pressure on Chelsea and Villas –Boas. Lampard’s unhappiness at being dropped for various Chelsea games lead to him publicly questioning Andre Villas-Boas’ management. But the reality is Frank Lampard is 33. He is no longer the future of Chelsea. Frank Lampard should do his talking on the pitch, rather than vent his anger to the media. Lampard already has ammunition to do his talking on the pitch. Frank Lampard has created the second highest amount of chances for Chelsea (41). While the 33 year old is Chelsea’s top goal scorer in the Premier League with 10 goals. Lampard statistics prove his value to the Chelsea side. The stats show Lampard is contributing and does make a difference to the side. One can’t deny Villas-Boas didn’t handle some of the senior players brilliantly. He seemed to alleinate and unsettle a number of them. However, did the Chelsea players really make an effort to warm or conform to the Portuguese manager’s philosophy? Perhaps we will never know. But it seemed the players were incredibly unwilling to conform to his ways. But it seems the Chelsea players have this mentality whereby they know they will outlive their manager at the club. This poor mentality has unfortunately lead to some of the players being unwilling to adhere to the new managers style of management, if it doesn’t suit them. This is what’s sad about Chelsea. The mentality of some of the players typifies everything what’s wrong with player power in the modern game. As Chelsea’s player power hasn’t led to sustained success, it has led to hefty pay outs and abrupt seasons. Whoever becomes the next full time manager at Chelsea, face the same the issues Carlo Ancelotti and Andre Villas-Boas faced. The same arrogant players control and dominate the dressing room. While restricting the new manager from being able to fully implement their own style and mentality on the club. The problem at Chelsea is that the managers aren’t given time, and if they try to change things too quickly, it can lead to serious decline, as the team have to develop cohesion and understanding, without unsettling and alienating the existing players . Another crucial point, especially at Chelsea, is most players have been at the club longer than manager, meaning they will oppose the changes as it would be against their interests and their way of doing things. Perhaps this was Andre Villas-Boas mistake at Chelsea. Changing too much too quickly. Andre Villas –Boas is a talented manager. He is a manager who will go onto achieve great things. 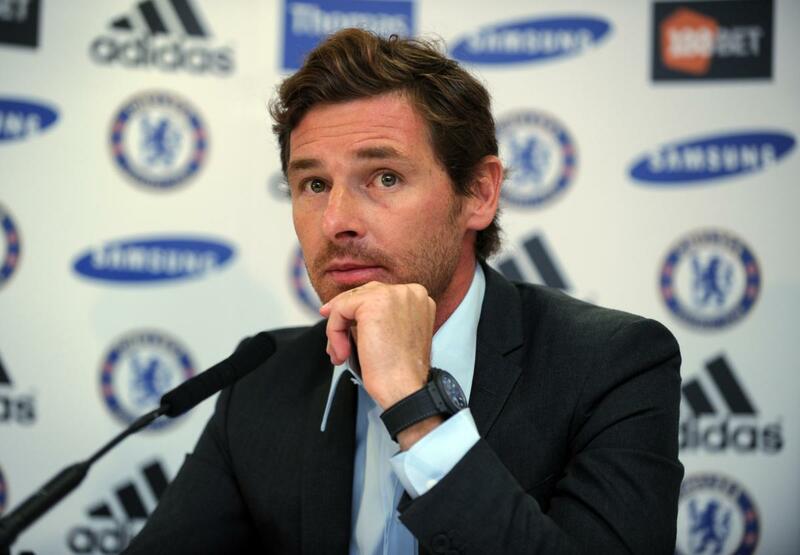 The sad thing is it is reported Villas-Boas often slept at Chelsea’s training ground. Its regrettable, a man this committed, this passionate about his job was not given the time to see the job through. It’s also a shame that the former managers determination didn’t rub off with his players. Chelsea is the impossible job in club football. The shadows of Jose Mourinho are still ever dominant, no matter whom the manager is. Look at Carlo Ancelotti. In his first season, he won the double. While in his career overall, the guy has won four European cups. Yet he was shown the door for coming second. This demonstrates the sheer monstrosity of the job. It shows the magnitude of this gig. It shows how fine the line is between success and failure at Chelsea. The impossible nature of the Chelsea job has and will continue to put off the finest managers across the globe. The likes of Pep Guaridola have quickly distanced themselves away from the job. While former Chelsea coach Brendan Rodgers when asked if he was interested in the Blues job, he said wisely he wanted to ‘build’ his career, rather than ‘destroy’ it. Rodgers comments superbly define the issues surrounding the Chelsea managers job. It doesn’t lead to great success, it leads to condemnation, it leads to humiliation and it leads to utter emotional pain. For the Chelsea job to be viewed as possible, the culture surrounding the club’s hiring and firing policy must change. Changes have to be made at Chelsea. There is no other way around it. The Chelsea team needs fresh players, fresh ideas and a fresh mentality. At the moment, the old guard’s mentality is rife at the club and instead of improving the club, it is actually leading to the club’s decline. What’s sad is Andre Villas-Boas often insisted Chelsea’s needed to be rid themselves of the club’s existing culture of sacking and the players controlling the dressing room. Villas Boas spoke of his desire to create a new cultural identity at the club. Regrettably, the same culture Villas –Boas was looking to eradicate, ended up getting him the sack.